Republished with permission from Electronic Intifada and Kim Bullimore. In the largest show of support for the Palestinian-initiated boycott, divestment and sanctions (BDS) campaign so far in Australia, more than 350 persons marched on 29 July in solidarity with the Palestinian struggle – and in opposition to an attempt by Victorian Police to criminalise Palestine solidarity activism in Melbourne. Charged with ‘trespassing’ and ‘besetting,’ those arrested are now facing fines of up to AUD $30,000 (approximately US $32,300). The 1 July action, organised by the Coalition Against Israeli Apartheid, had sought to highlight the complicity of two Israeli companies, Jericho and Max Brenner Chocolate, with Israel’s occupation and apartheid policies. The action was the fourth protest against both companies since December 2010. Jericho, located in Melbourne Central Shopping Centre and other shopping centres around the city, produces cosmetics made from minerals exploited from the Dead Sea. While Jericho and other Israeli companies – such as Ahava, also a target of BDS campaigns – profit from the Dead Sea, Palestinians are regularly denied access by Israel’s military checkpoints, exclusion zones and Israeli-only roads. Max Brenner Chocolate, the other Israeli company subject to BDS protests in Melbourne, is owned by the Strauss Group – one of Israel’s largest food and beverage companies. On its website, the Strauss Group emphasises its support for the Israeli military, providing care packages, sports and recreational equipment, books and games for soldiers. Trade union and community representatives spoke at the rally on 29 July before the crowd marched through the city. In spite of repeated threats of mass arrests by Victoria Police – and the deployment of police horses in one of the shopping centres – the protest marched into both the Melbourne Central and Queen Victoria centres, staging peaceful sit-ins in front of the Max Brenner stores located within. Two day earlier, on 27 July, the Victorian police confirmed during a bail variation hearing at the Magistrates’ Court of Victoria (local District Court) for some of the activists arrested on 1 July that a decision had been made to arrest the protesters before the demonstration. This decision was made after discussions with Zionist organisations, the Victorian government, shopping centre managements and state and national management of Max Brenner. In April, the Australian Jewish News (AJN) reported that the Jewish Community Council of Victoria (JCCV) had made representations to the Victorian police. According to the AJN, JCCV president John Searle had ‘called on the police to stamp down harder on aggressive protesters’ (‘Police questioned as protests turn violent,’ 15 April 2011). 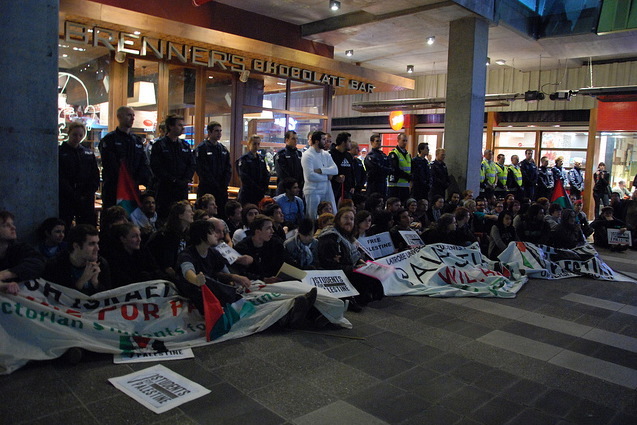 Similar calls for a government and police crackdown on BDS protests against Max Brenner in Sydney were made in June by former AJN journalist Walt Secord, who is now a member of the NSW State Parliament (‘Police called to action on BDS,’ 24 June 2011). On July 29, the same day as the BDS action against Max Brenner in Melbourne the Australian Jewish News carried a ‘debate’ piece between Vic Alhadeff, the CEO of the NSW Jewish Board of Deputies, and Ted Lapkin, a former staffer with the key pro-Israeli lobby group in Australia, the Australia/Israel and Jewish Affairs Council. The piece reveals that the various calls for police and government crackdown on BDS activism was part of a ‘nationally coordinated strategy’ developed with and backed by the Israeli Foreign Ministry (‘BDS: To protest or not to protest?’). During cross-examination by Robert Stary, the lawyer representing the activists, Michael Beattie, an operational support inspector with the the Victorian Police, conceded that both Melbourne Central and Queen Victoria shopping centres were ‘public places’ and that neither centre prior to 1 July had sought any civil injunctions to prevent entry to the public places inside. The cross-examination by Stary also revealed that the main reason that police had decided to criminalise the actions against the Israeli companies was because they had been well-organised, coordinated and effective. According to Inspector Beattie, ‘the protesters had their own way’ for too long and a ‘decision [was] made to draw a line in the sand and make arrests.’ Another police officer, Senior Sargent Andrew Falconer, also gave testimony at the court hearing and acknowledged that police infiltrators had been sent to pro-Palestine solidarity meetings in order to monitor the activity of BDS activists. In a statement issued after their arrests, the nineteen activists noted that ‘the attack on the peaceful BDS action in Melbourne highlights increasing attempts to criminalise BDS and Palestine solidarity activism internationally. Currently in the US, France and Greece, hundreds of pro-Palestine activists are facing criminal charges for nonviolently standing up for Palestinian human rights’ (‘Support the Boycott Israel 19 Defence Campaign’). ‘Since its founding in 1948, Israel has sought to ethnically cleanse the indigenous Palestinian people through war, occupation and apartheid practices. Israel regularly engages in collective punishment, arbitrary arrests, extra-judicial assassinations and the demolition of Palestinian homes and civil infrastructure, all of which are illegal under international law,’ he added. Crafti noted that while the Victorian and Australian governments sought to criminalise support for Palestine self-determination, they refused to hold Israel accountable for its human rights abuses, war crimes and apartheid policies. ‘There were massive numbers of police, well over a hundred, not counting those behind the scenes in the loading docks,’ she said. Bolton described how police had sought to ‘kettle’ the demonstration by corralling protesters and physically pushing them into a smaller and smaller area. According to Bolton, this resulted in a number of protesters being injured and crushed when the police had surrounded and violently pushed protesters from all sides. During a visit to Israel In 2009, Gillard was thanked by Israeli government minister Isaac Herzog for standing ‘almost alone on the world stage in support of Israel’s right to defend itself’ (‘Israel to Gillard: thanks for standing by us,’ The Age, 24 June 2009). The arrested activists noted that in June, the Baillieu government had established a new 42-member riot squad – and the attack on the 1 July protest was the first time it had been used in any significant way. ‘The amount of force used by the police and the response of the political elite to our protests, particularly the fact that the Australian Foreign Minister [and former Australian Prime Minister] Kevin Rudd felt the need to go a few days after our protest to Max Brenner as a public relations stunt is a sign of the pro-Israeli forces’ desperation,’ he added. ‘The police should not be used to protect the interests of an international commercial company,’ he said. Building on the success of 29 July, Melbourne activists will continue to campaign in support of Palestinian rights and oppose the criminalisation of Palestine solidarity activism. The next Melbourne BDS action is scheduled for 9 September, the same week those arrested will plead not guilty to the charges against them. The defense campaign in support of the arrested activists has gained wide attention, with well-known public figures such as filmmaker John Pilger, author Norman Finkelstein and radical thinker Noam Chomsky supporting the campaign. In a media release issued immediately following the success of the 29 July BDS action, Melbourne activists said the Victorian Police ‘thought that by attacking the BDS demonstration they would put an end to our movement. They were wrong … [we will] not be silenced’ (‘BDS returns to Max Brenner in spite of police intimidation,’ 5 August 2011). A defence fund has been started to help support the activists involved in this BDS action. Read more at Defend the Boycott Israel 19. I wonder how the police justify the much higher bail imposed on the BDS spokesperson as anything other than a blatantly political act? A press release from Women for Palestine. grassroots movement across Australia in support of Palestinian human rights. condition of Israeli policy and practices towards Palestinians. attempts to conflate criticism of Israel with anti-Semitism. unfortunately consistent with the Australian state’s support for Israel. Israel’s war crimes and human rights abuses. 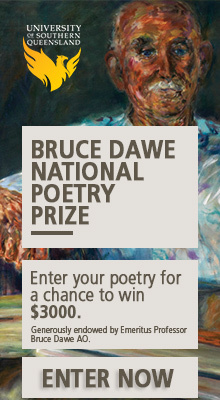 end Israel’s impunity and Australia’s complicity in it. Palestinian Boycott Divestment and Sanctions National Committee condemns repression of BDS movement in Australia. I attended one such demo. It was an absolute disgrace and consisted of attempts to harass customers, abusive language to elder customers. The hoodlum element just want an excuse to behave appallingly (London riots come to mind) and the more extreme elements of the movement want to effectively damage Brenner’s trade because they don’t agree with his views. They seemed like a bunch of misinformed lefites intent on damaging anyone who disagrees with their politics. Repressive is how I would describe the BDF – much like the people the regime are supporting. Sheilah which demo did you attend. None of the demos here have reported violence, a fact which even the police had to acknowledge in court. If you are a Zionist and supporter of Israel’s ethnic cleansing state it openly instead iof usinglies to slander the peaceful protest. There were elderly people walking with canes among the protestors. Children were playing around at the protest after the arrets. What regime are the BDS supporters supporting George Bush’s, or Netanyahu’s or Abbas’s ? Comments such as these would be more credible if the did not display such abysmal ignorance of truth. I have been to all of them and that has never happened. protesters have never even spoken to customers. No not his views, they disagree with where his product goes…that is to state sanctioned murderers and rapists. Most people disagree with socialist politics. What evidence do you have to support your claim that they want to destroy most people. Final question, you never actually attended a protest did you?